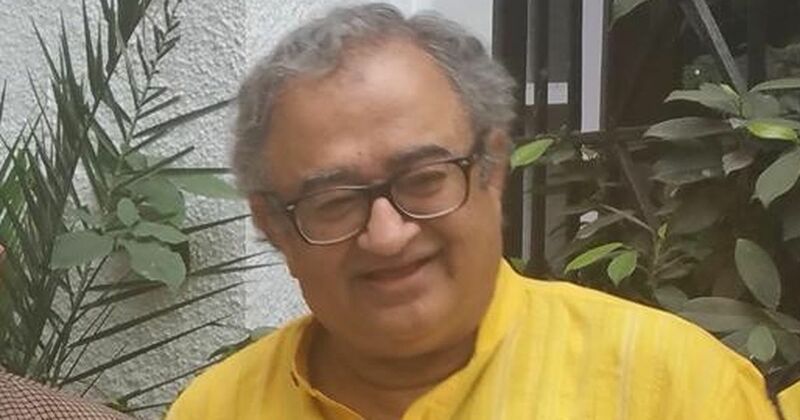 Chandigarh: Tarek Fatah the Canadian citizen of Pakistani origin who is the darling of certain Indian news channels was thrashed by students from Punjab University after he made derogatory comments on few students here on Thursday. Fatah a known Muslim basher had been invited to deliver a talk on Balochistan. After the fracas, the organisers called off his talk, scheduled for Thursday. He was invited there to deliver a TedX talk on Balochistan, when the fracas took place. Gagandeep Singh Dhillon, a PhD scholar in geography, was quoted by Indian Express, “I was sitting at the physics canteen when Tarek came and began an informal interaction with students. We were discussing yesterday’s Nagrota terror attack. When he was talking to us, the department librarian came. When the students rose to show respect, Tarek told them, ‘Indians need to stop giving such treatment to their seniors’. We were sitting in Physics canteen when Mr. Tarek Fateh arrived with his entourage. I recognised him as one of the TEDx Panjab University’s speakers but I was not aware of his background or his forte. Suddenly we heard a commotion and realised that a fight has broken out. Gagan went to see what all the fuss was about. My professor and I kept sitting in our places. I went up to him and told him that my name is Ganeshwari and asked him if it was okay. He said, “Yes! Your name is perfectly fine.” I said, “Sir, you disgust me.” Then I called Mustafa and Gagan near me and told Mr Tarek that this is a Muslim, this is a Sikh and I’m a Hindu. We don’t care about religion or names. So stop preaching your hatred here. By that time our professor also came up and spoke against this hate politics. Amidst all the commotion, Mr Fateh and Mr Harbir escaped quietly. Let me clarify here that Mr Fateh was NOT slapped even though he tried his best to provoke Gagan to slap him.